In the last few months, I have spent some time photographing in London, and often did so after dark. London gives us countless opportunities to photograph street life, architecture, grand views and people. 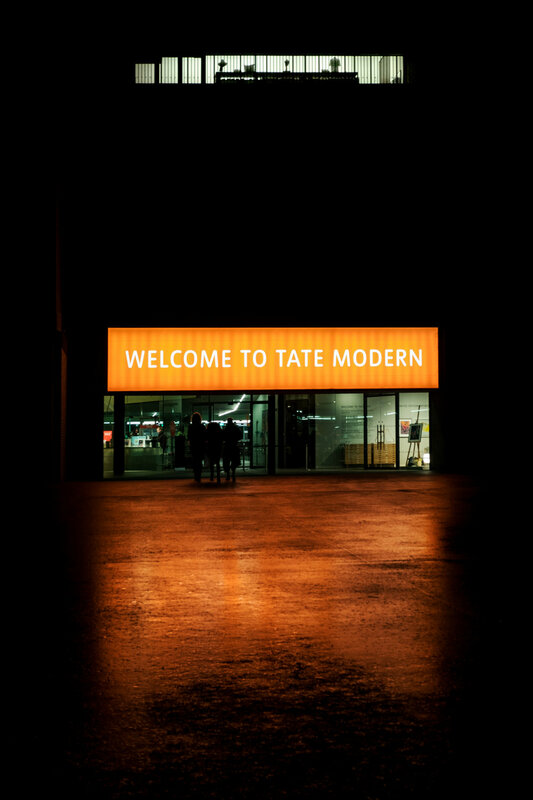 That is especially so after dark, when the lights come on, and the familiar views change, creating new and exciting opportunities to make interesting photographs. I will be running a brand-new evening workshop in London for Light & Land on 11 December 2019. Join me if you would like to get started or want to delve deeper into low-light and night photography! For more information and to book your place, head over to the Light & Land website. I am excited to be showing some of my work at the prestigious OXO Gallery in London in April. VISION 9 is a contemporary photography exhibition of 9 artists, and I feel privileged to have been invited. For more information, click here. Last weekend, the LÚMIERE FESTIVAL took place in London. Good reason to go to town with the camera. Despite the crowds I managed to capture some of the light, albeit mostly as abstracts. A reasonably pleasing image here and there could not hide the fact that I have been incredibly frustrated those last few months with my photography. So what better way to get out of the rut than to try something completely new? Inspiration came from Steve Gosling, whose workshops I used to attend regularly, many years ago. Olympus lent the camera and Steve set the task - shooting urban scenes in London. I expected nothing, and perhaps that was the key. It allowed me to look around with fresh eyes, explore and play. 3 hours - and that was all that was needed to invigorate my mind, to re-ignite the passion.